I have mixed emotions about Chilkoot Valley: it's a place of happy memories for me, and a incredibly beautiful location. Over a number of years, I've experienced some magical encounters with bears here. Whilst Haines is remote, it is accessible by ferry and vehicle (I made a 1600 mile round trip from Anchorage to visit) and the viewing season extends from late July into early October over a series of salmon runs. However, it's not an official bear viewing area, and is inadequately regulated. 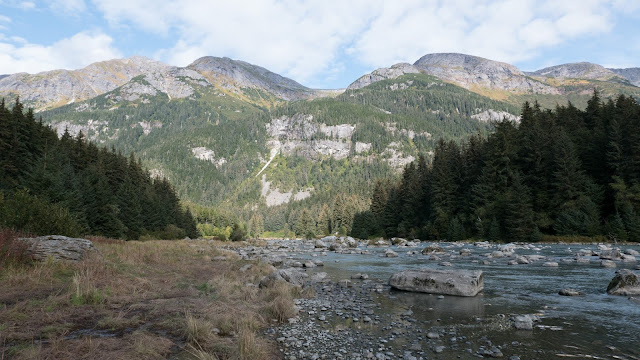 Viewing takes place on a narrow corridor besides the Chilkoot River in a multi use area with road, camping, angling, and photography sharing the corridor. On days when a cruise ship visits Haines, it can become particularly over-crowded, and I've seen many examples of inappropriate behaviour towards bears. Sadly, bear shootings are not uncommon and this summer a man in a bear suit decided to harass bears at Chilkoot. This article highlights some of the issues of uncontrolled visitation, and whilst at Haines myself this year I witnessed many breaches of safe bear viewing protocol, including the chasing of bears down the river and photographers approaching Speedy, a mother with two cubs, too closely (note that my pictures were taken with the equivalent of a 900mm extreme telephoto lens). Proposals have been made to construct a viewing platform, but this might serve to increase visitation, and the most urgent need is for resources to be put into improved management of visitors to prevent bears from being crowded. At present, visitors are putting themselves and the wildlife at risk, and whilst bears generally seek to avoid conflict, the risk of a tragedy increases the longer the situation is allowed to continue. For this reason, I hesitate to recommend bear viewing at Haines for fear of increasing the threat to its brown bear population. 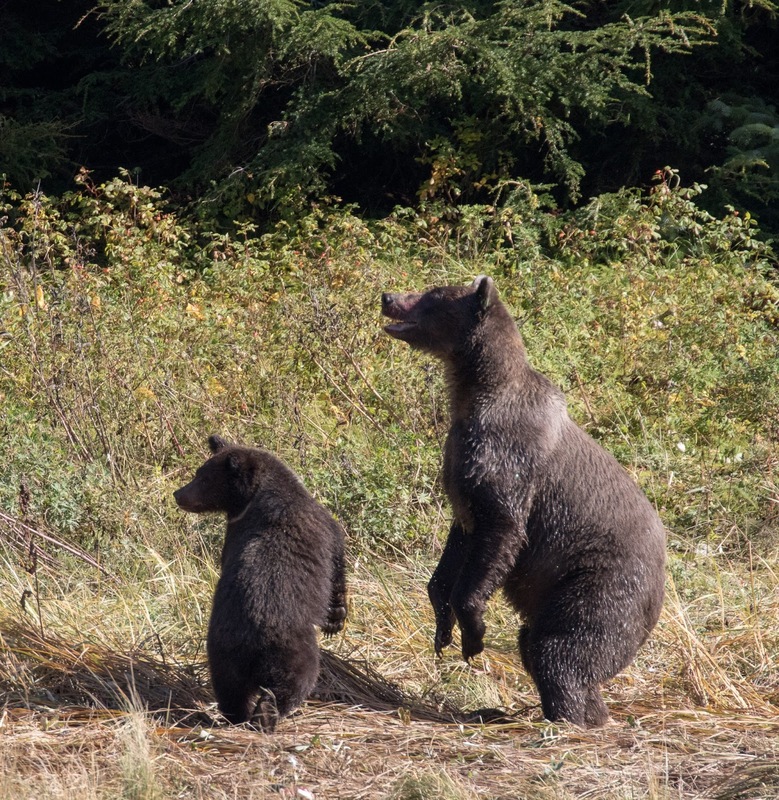 If you're seeking a bear viewing area in Alaska accessible by road, I'd suggest investigating Fish Creek in Hyder which has a platform and rangers on site at all times when the facility is open.